Join The Mindstream live at Olive's on Main Street in Nyack, NY! With Triple Scoop and Minor King! 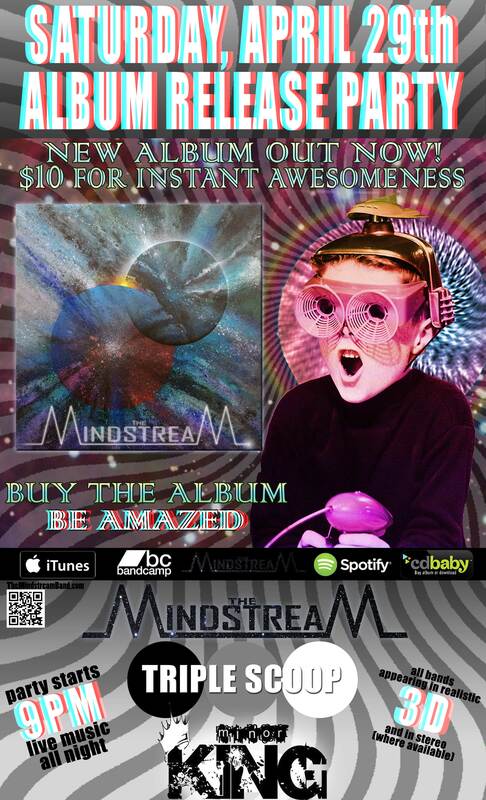 Come and celebrate The Mindstream's new album! All your intergalactic favorites, much more and no less! Platypuses get in for free! $5 for everyone else! Drink specials, food specials and non-specials, and zero gravity directly upwards.